Every attempt has been made to provide current and accurate information in this handbook, but it is possible that some items will change over time. The Management Office will notify you of any such changes. Should you have any questions, please feel free to contact the Management Office. Each tenant is asked to provide Lincoln Property Company with the name of one individual designated as the "Tenant Contact". Any questions or concerns pertaining to temperature control, maintenance requests, parking and other items should come from the Tenant Contact and can be directed to Lincoln Property Company at the building Management Office or through the On-Line Electronic Tenant® Service Request System included in this handbook. We have seen through experience that this procedure is the most efficient way of responding to our tenants' requests. As the management representatives of 400/444 North Capitol Street, we look forward to being of service to you and your organization. Click here to download a Tenant Contact form. 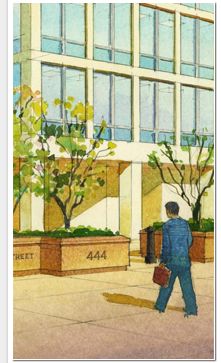 Welcome to 400-444 North Capitol Street, N.W. – Hall of the States!